Hair loss is a major issue we deal with every day. There are many factors that affect it. 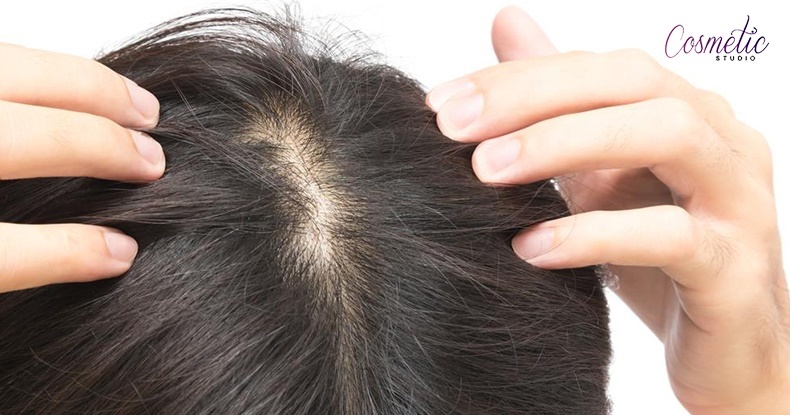 Hormonal changes, heredity, stress, and pollution are few of the factors that cause hair loss. Today, one of the ideal solutions for hair loss is hair transplant. There are different types of hair transplant treatments which require various techniques to ensure perfect results. Follicular Unit Extraction (FUE) is a very simple but an excellent hair transplant method. It extracts follicular units from a donor area and is placed onto the bald area. Many of us do not like the idea of a hair transplant treatment just for the fact that the transplanted hair is not natural. Even if it is, it’s not our own. But with FUE, you get the advantage of using the follicular unit of your own hair. Why Should You Opt For Follicular Unit Extraction? Caters to a vast range of hair loss conditions, etc. If you are looking for a reputed FUE treatment center in Bangalore, then Cosmetic Studio is perfect for you. It offers Automated Follicular Unit Extraction approved by US-FDA maintaining highest safety standards and consists of internationally qualified surgeons who have over 30 years of experience. Being the oldest and trusted clinic in Bangalore, Cosmetic Studio uses latest techniques and offers quality cosmetic, aesthetics and hair transplant treatments across the globe. Follicular Unit Extraction is an excellent hair restoration treatment. This is a surgical procedure which uses local anesthesia during the process. There have been many improvements in the technique and the systems used for it. Neograft Automated FUE System is the most advanced today and Cosmetic Studio uses it. With minimal invasive technique to remove an individual follicular unit from your donor area, usually the back of your neck, Dr. Vivekananda Bhat cautiously removes the follicles from the scalp. This is done using a tiny instrument. The follicular unit is sent to the technician for the placement preparation. The technicians then make sure that the follicular unit is excellent condition for the desired results. The next step would be to transfer the follicles to the bald area using a high powered stereo microscope. Once the procedure is complete, you can see the results in no time. Treatment taken prior to surgery: Stem cell injections, and laser light therapy-a waste of time and money. Finally got my hair back by Dr Vivekanand, for half the price I paid on my medical treatments, my regret is i did not do this earlier. Treatments taken before hair transplant: Stem cell and Prp which cost a lot of money but had absolutely no result. I then happened to meet a friend of mine who underwent hair transplant at the Cosmetic Studio and he had good results so i choose this clinic, I am happy with the results and I wish I had not wasted my money on the medical treatment which i undertook. Hair transplant is one of the permanent solutions for hair loss. Although many hair transplant procedures cost you a fortune, FUE is not that expensive. The cost of the procedure depends on the severity of the case. Factors like the coverage area and individual hair characteristics determine the cost of the FUE treatment. When it comes to hair transplant treatment, you should consider all the aspects of a certain procedure before making your decision. Follicular Unit Extraction treatment is a terrific answer for your hair transplant dilemmas. Feel free to get in touch with us if you have any queries on the cost of the procedure or if you need further information about the treatment.